We started the previous week’s Women for Peace session by playing a game, where in two teams we were trying to grab the pen first, by passing a message down the line. Following the game, we discussed how easy it was to pass a message along, but we felt responsible when we had to retract a false message. Since my hands sometimes jerk uncontrollably, I felt pressured and responsible for our group, luckily our group won! We then talked through two methods of holding difficult conversations with another person – the Dialogue Model, and I Statements. 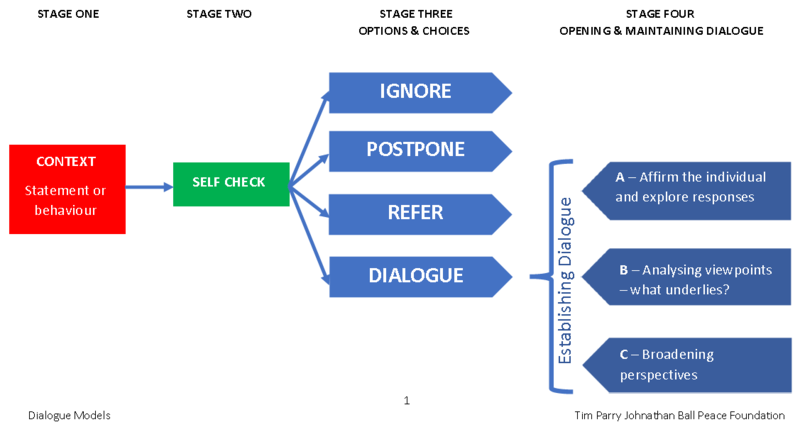 The Dialogue model is a useful way to address a comment that a person has made that we don’t feel comfortable with like a disablist comment/opinion. The model follows four stages of ignore, postpone, refer or dialogue in order to take us through a constructive dialogue about a topic. The ‘I’ Statements, on the other hand, are based on a non-judgemental model, where the person simply expresses how a certain conflict has made her feel and invites the other person to have a constructive discussion. I preferred the latter as it’s more about owning up to how one feels and taking responsibility for it instead of blaming the other. Following this, we came up with some conflict scenarios from personal experience in small groups. We then sat in two lines to do role plays with those topics, using our new dialogue models as tools to resolve the conflicts. I chose to use the statement ‘You don’t look blind’ for my scenario, which is often expressed in a complimentary way, however this is not received in the same way, at least by me. While the person role playing my scenario did not appear to realise the importance of ‘blind’ identity to my personhood, when acting out, I think the group understood the message. In our penultimate Women for Peace session this week, we individually had to come up with four words that define peace, then as a group work together to narrow it down to only four in total. This resulted in really interesting discussions about how we work together in an environment, which is in principle based on ‘equality’, and how we can apply the lessons learned to our everyday life. As an ice breaker, we started this session with a game, where one person in the middle said a statement and those who identified with her should have stood up, looking for another chair to sit on. This game clearly excluded me. Since playing not fully inclusive games has been the norm almost every session, I was really upset that even after nine sessions things haven’t changed to become more inclusive. I burst into tears and had to take time out. I shared my concerns with one of the facilitators and followed it up with writing a feedback email. While on one hand I feel it shouldn’t be down to me to educate people having felt marginalised already, on the other hand I feel responsible for making people more aware. 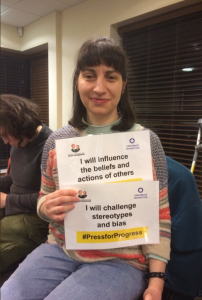 I am continuously surprised that most equality trainings are about race, ethnic background and religious beliefs with little attention given to disability. I wish I wasn’t so accepting and that I was more vocal through the course; perhaps people would have then understood my views better and wouldn’t have accepted some of the non-inclusive practices that have been going on. Being a minority even in a women’s only group, which is formed around promoting peace is not without its challenges. I’ll be talking more about this with the facilitators at the next, and last, session. 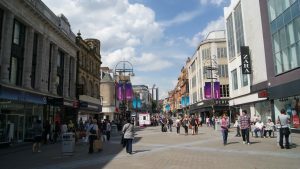 Outside the course, I participated in a focus group with some other equality hub members about how to make Leeds city centre more accessible. We had interesting ideas about the things we liked about Leeds and the things we didn’t like. From my perspective, I like open spaces such as Briggate and its pedestrian zone, and what I don’t like is the narrow pavements, especially when people leave their black, green and brown bins blocking the path. We also spoke of an ideal Leeds and what we would like to see. Recommendations included more lighting and safe spaces, audio signs and information (including bus/train timetables) and wider pavements. All in all it was a productive session for us, but much depends on how much is taken on board by the council when planning a more accessible Leeds. We have had another lot of snow this weekend, which restricted my mobility once again. This meant my plans to walk to the Carriageworks Theatre to see a play had to be cancelled. It was difficult enough to go to the relatively nearby Hyde Park Picture House to see ‘Three Billboards Outside Ebbing, Missouri’, a beautiful film depicting a woman’s trauma after losing her daughter, and her fight for justice despite being patronised and discriminated against by her own community. For the second time, David and I went to the historical talks held in Left Bank Centre. 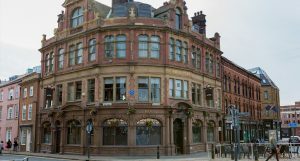 While the first one we went to was about the Leeds Zoo located on Cardigan Road around 1848, this one was about the Adelphi and Garden Gate pubs, located in Hunslet. I find the talks really fascinating, shedding a wonderful light on some of the treasures in Leeds, both from Architectural and social historical perspectives. I’m so looking forward to going to the next one. I seem to have let blogging slip away for a few weeks. It was good to have a few days break and spend time with friends but that meant I had much more to catch up in the subsequent weeks. At the previous week’s Women for Peace session, we discussed the applications, differences and impacts of persuasion and manipulation. For this we played ‘Break into the Circle’ to look at different (non-violent) tactics we use to join a group. I was told for this activity I do not need to take part which I felt was ironic and exclusionary in itself, and left we wondering about the point of the exercise! Then we took part in a continuums exercise where we were given statements to think about. These were about shopping in sales, finding a bargain, and how much we are able to resist the manipulation attempts of shops and big companies. Afterwards we applied the differences between manipulation and persuasion in our everyday lives in our families, work places or other social interactions. Following this we role played as ‘Angel v Devil’; we each had a chance to play the ‘angel’, the ‘devil’, and to be the ‘listener’, using the ‘My Former Life’ film scenarios. Although the group thought that it was easier to persuade people to take the ‘bad’ path as it sounded more exciting, for me the exercise reinforced the fact that I do not like or enjoy either manipulation or persuasion. This might be because I have been subjected to both and know how damaging the power struggle is for the recipients. So I wouldn’t wish to put anyone through a manipulation or persuasion scenario. We finally thought about ways that we can resist persuasion and/or manipulation, for example, by being intuitive, informed, being able to challenge and question the ‘persuasive’ ideas presented, and listening to multiple viewpoints. Over the years, I have trained myself to be more critical and not respond reactively, however I don’t always achieve this! It’s a work in progress. At the next session we examined the messages contained in various ‘memes’ – random images used on social media with text attached, with the intention of influencing our decisions and making us think a specific way about a point of view. Then we watched films of Anne Choudary (from the now banned group Al-Muhajiroun), Jayda Fransen (Britain First) and Donald Trump to discuss how their words and messages have the potential to influence and persuade public opinion. The last two especially use skilled manipulation, playing on people’s emotions of fear and anger. It made me feel really uncomfortable and I found their messages toxic. It’s such a shame that so many members of the public can be so easily persuaded by these people. The differences and the impacts of critical thinking and impulsive thinking were then discussed in the group. I feel as our first instinct, we all have the tendency to think impulsively, however after a fair bit of reflection, training and life experience our thinking usually becomes more critical, allowing us the benefits of making more informed decisions. We had lots of snow last week, which meant events were cancelled and I wasn’t able to go out for a few days. Snow can be pretty, it makes everything bright and shiny, reflecting the light, but that’s only on an aesthetic level. 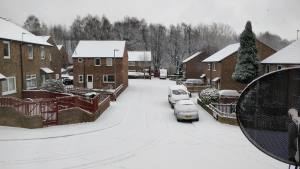 Walking on snow and ice is impossible for me, and I consider snow as a key barrier in the winter, preventing me from going out, however I made the most of being home. I finished the first draft of a chapter I am writing on challenges I face as an independent academic outside academia and how the oppression I experience has given me the impetus and strength to become an activist bringing about social change in academia. Although the experience of writing about my difficulties was a bit depressing, at the same time I found it to be empowering and cathartic writing about the discrimination I have faced in my career as an independent researcher. I also took the opportunity to review the revised versions of two articles I had reviewed previously. We ended the week by going to the Left Bank Centre for an hour of reflection on Sunday. Having the quiet time and space to meditate and reflect on the past week was restoring for the soul and refreshing for the body. Today was the International Women’s Day and there were lots of celebrations going on in Leeds. I do wonder though how many of these events have been inclusive of and accessible to disabled women. I also wonder whether or not there has been a recognition of the women who are not able to join in public life and especially attend today’s celebrations, be it because of mental health issues, access and attitudinal barriers, lack of support or care giving responsibilities. Surely disabled women and their female care givers have as much entitlement to the sisterhood as their non-disabled counter-parts, and their diverse needs have to be acknowledged and respected. Armineh Soorenian | Powered by Mantra & WordPress.